Resolve To Be A Life Changer! Whether we openly admit it or not, the start of a new year causes us to reflect on where we are in our lives. Do we have a desire to be a better person, lose weight, become more active or save more lives? That’s right . . . at this moment you can make a resolution to save lives by making an appointment to donate blood at Blood Bank of Delmarva, just like John did. Ten years ago, John had a triple coronary artery bypass & needed 8 pints of blood and 4 units of platelets. That day 12 people saved his life. Twelve people who didn’t know him and he didn’t know them. Twelve people who took time out of their busy lives to save someone else, someone they didn’t know and would probably never meet. John himself had donated blood in the past, but not on a regularly scheduled basis. But after his life altering incident, he made a resolution . . . a resolution to give back to those who unselfishly had done the same for him. Over a 10 year span, John has become one of our most frequent donors and has donated over 240 times, which means he’s been at BBD 24 times per year over the last ten years! That’s consistency and dedication. By the way, platelets are his preferred form of donation. 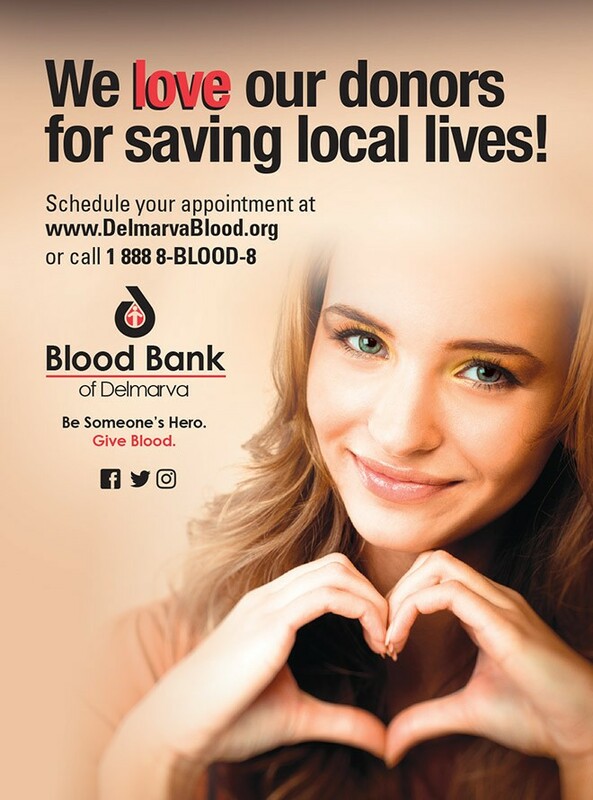 There is very little else you can do in your life that’s more gratifying and more impactful than donating blood because it’s a gift that will directly affect the life of a patient at one of the hospitals Blood Bank of Delmarva serves in our region. The gift of life that you give will help sustain someone else’s life. It could be a friend, a family member or in most cases a complete stranger. But does it really matter who it saves? Isn’t life the most precious commodity we have? In my conversations and travels throughout the Delmarva region, the talk always turns to “Why should I give”? Here’s why: 65% of the United States population cannot donate blood for a number of different reasons. Many take medications that prevent them from donation; others have or had illnesses that make them ineligible, many are deferred because of travel and there are a significant number who don’t meet the physical requirements to donate. All these restrictions are there for one purpose, the absolute safety of the blood supply in our country. Of the 35% or so who have the ability to donate, only 4-5% actually do. That’s a tremendous burden on a very small segment of our population. It’s also a burden on blood centers throughout the United States as we struggle continuously to recruit new donors. Many of the people who donate regularly are aging and due to physical ailments may not be able to donate much longer. As an industry, we must find healthy new donors who will take up the challenge of helping to save lives, which is why we constantly encourage people who have never donated in the past to join us. The process of blood donation doesn’t take a lot of time. For whole blood, the actual donation time is less than 15 minutes. The entire process from the time you walk into one of our donor centers until the time you walk out takes about an hour because of the questionnaire that everyone must answer before every donation, along with a quick check on your blood pressure, temperature and hemoglobin levels. All these steps are FDA mandated for the safety of the blood supply and for the safety of the donor. 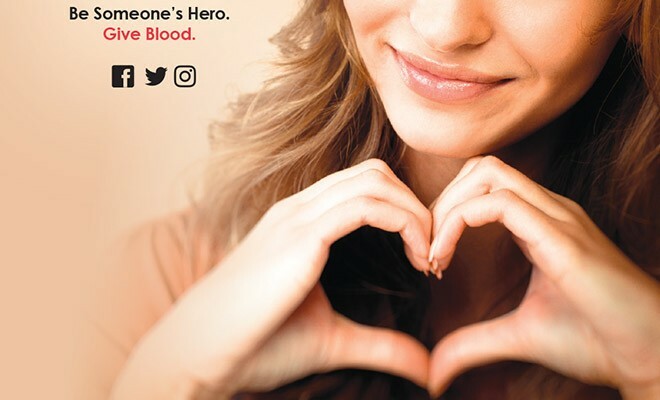 If you have any questions regarding blood donation, there’s a complete list of frequently asked questions on our website at www.DelmarvaBlood.org. You’ll also find helpful information on good practices you should use to make your donation go more easily. Or you can simply pick up the phone and call us with any questions or concerns you may have. Our donors are everyday heroes . . . doing what they can on a daily basis to help save lives. It’s important work, it’s lifesaving work and we’d like you to join us. Again, the time you spend in a donor chair will make a world of difference in the life of someone you may never meet, but as our friend John will tell you, he’s here today because 12 people over 10 years ago chose to make a difference. Michael Waite, former on-air radio personality at WJBR, is the current Director of Marketing & Community Relations for Blood Bank of Delmarva, a position he has held since February 2011. Michael is the organization’s primary media spokesperson and collaborates with executive management on strategic initiatives to improve organizational performance. He also manages community relations and leads the Blood Bank’s fundraising efforts. He is a past President and current member of the Board of Directors of the Ronald McDonald House of Delaware, a former board member for the American Red Cross of the Delmarva Peninsula, a 2011 recipient of the Governor’s Award for Volunteerism and a University of Delaware HRIM Renaissance Award winner.